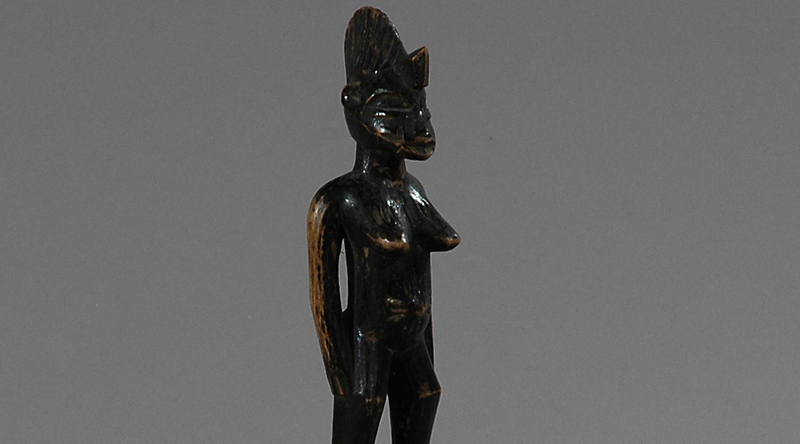 This expressive female figure is from the Senufo people of Ivory Coast, Mali and Burkina Faso. 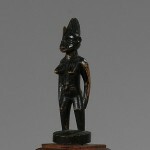 She is very well carved with the hallmarks of classic Senufo sculpture in terms of details and style. The surface is worn and shows some age with varied blackish brown shining patina, paint partly rubbed off. She rises without feet rising from a circular base. 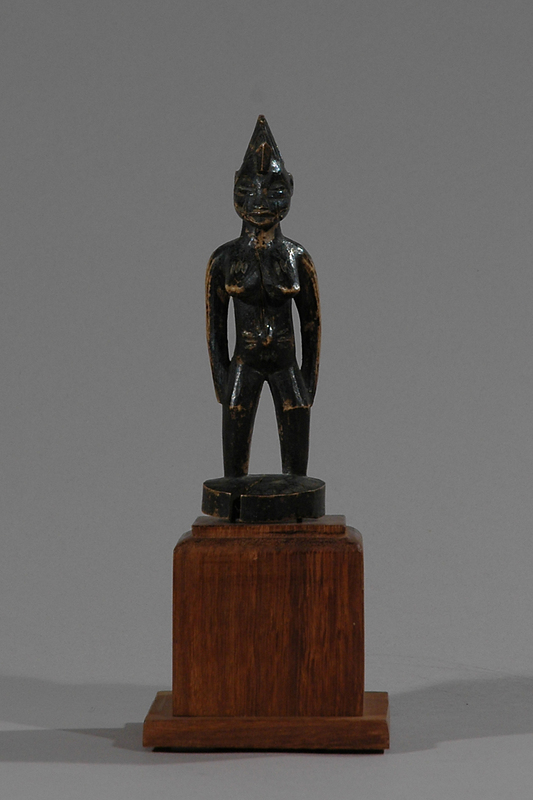 She has classic Senufo features enhanced by complex scarification on her face and the front of her body. 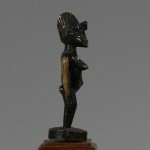 The figure depicts a mature woman in her prime as evident from her jutting breasts. 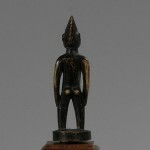 The shoulders are well-modelled and drawn back and the arms carved seperat from the body while both hands are resting on the thighs. Her face is an abstract classic with subtle and beautifully designed features with an elegant long nose and facial marking and a mouth that is defined by scarification markings. 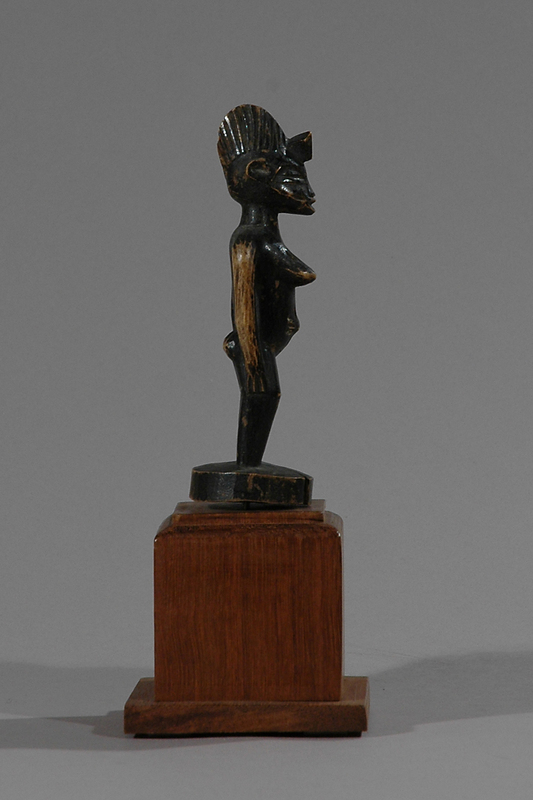 Her hairstyle is typical Senufo and represents a stylized bird, one of the five primordial creatures in the Senufo pantheon. 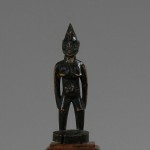 The “tugubele” are creatures of the wild. They are said to be good friends with humans and animals as well and act as an intermediate between them. When a tree has to be cut down their living space is violated and they require sacrifices in return. They want their existence to be accepted. Therefore, two figures have to be carved, because like humans they live in a community, they are dwarf-like small and of human shape. Age: Est. beg. – mid. 20th Century. Provenance: Acquired in Paris 1963 by Danish collector. Glaze, Anita J. 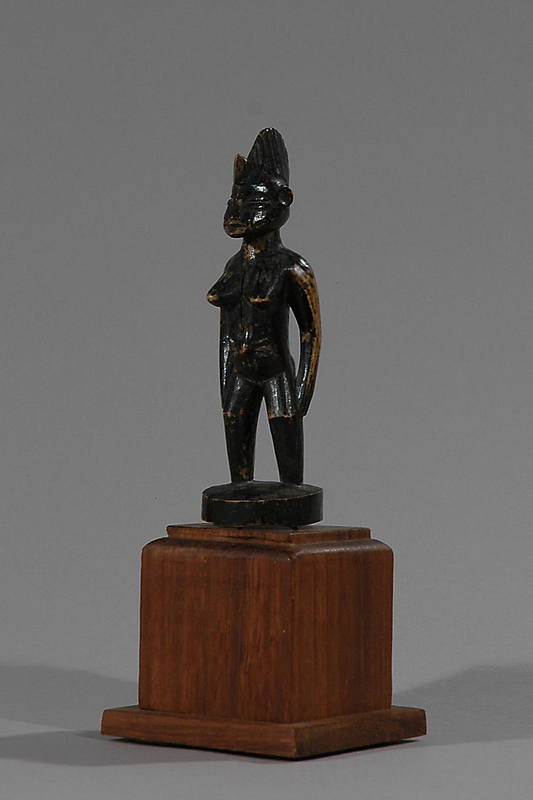 “Art and Death in a Senufo Village, 1981. 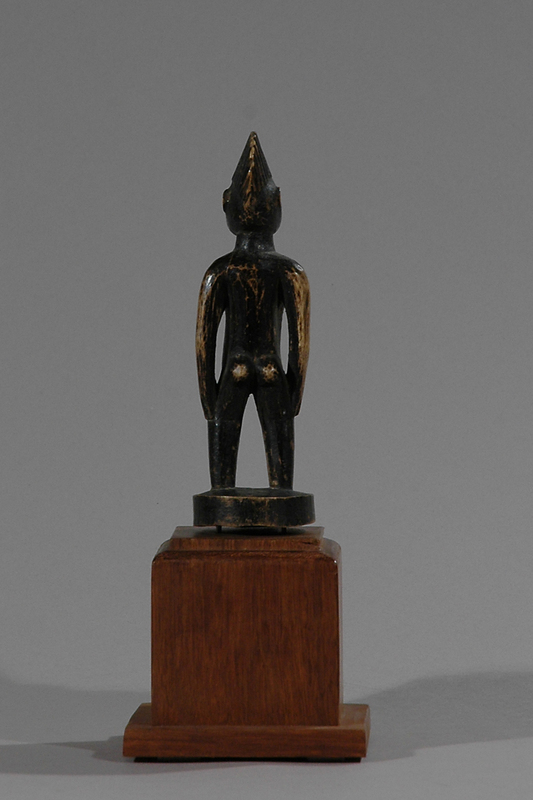 Forster, T. Die Kunst Der Senufo, Museum Reitberg, Zurich, 1988.